What’s with the increase in video blogging lately? 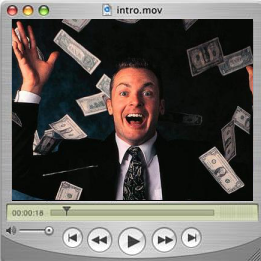 It seems like if you own a Mac and don’t video blog, something is wrong with you. I can’t name one of my friends who has a Mac and doesn’t video blog. Seriously. To me video blogging is the new hotness. So why do so many choose to video blog? When the audience watches a video blog they feel a sense of connectivity with the blogger, which is on a completely different level than they would normally be on if they were just reading text. The blogger can speak more freely and in a tone that can only be conveyed while listening. It also lets the reader see what the blogger is really like. You can tell a lot about a person by the way they present themselves and the mannerisms they use while talking to the camera. I’m sure there’s other reasons why video bloggers do what they do, but I’m too lazy to write about them. Chris Pirillo – Geeky tech guy that somehow managed to score the #1 result on Google for keyword ‘Chris’. Revver – Also check out the Revver Plugin for WordPress. Awesome, I was reading your blog for my sales site and I see that you talked about iJustine too.